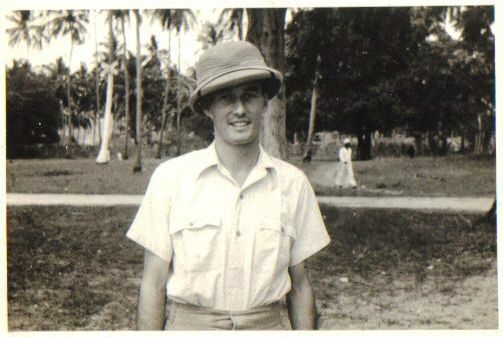 White Water Landings is the memoir of Geoffrey Pett of his early days, his recruitment by Imperial Airways, and his career with the Empire Flying Boats in Africa. Geoffrey joined Imperial Airways at age eighteen – one of six Commercial Trainees selected that year from over 500 first interviews and goodness knows how many applicants. It was a select cohort – Ross Stainton went on to become Chairman of British Airways and earn a knighthood. Geoffrey’s experiences in the first ten years are the stuff of legend – setting up ground stations for the new flying boat service in Africa, sorting out passengers at their overnight stops (it took three days to get from London to South Africa), and receiving and refuelling ‘boats at the interim set-down points. With only two flights a week each way, life in the stations could be interesting, tedious or downright boring. Geoffrey was the type to make do, using the material available, and representing Imperial Airways in the best way he could. There are insights into the acceptance testing for the flying boats at Rochester, new information about the infamous Corsair crash in the Congo, and ruminations of a young man in colonial Africa meeting native tribesmen and working with the locals for the first time. There are also 10 new pictures of the Empire C Class flying boats from Geoffrey’s own collection, plus two which may have been published elsewhere and one library picture. The books are peppered with photos of other aircraft and scenes of life in the 1930s in Africa, especially Lindi, Juba and Cairo. With a forward by Professor Gordon Pirie, Deputy Director of the African Centre for Cities at Cape Town University and Editor of the Journal of Transport History, the book is a must for aviation historians, flying boat enthusiasts, lovers of family history and African adventure, and anyone who loves a good tale with honest people and a touch of romance. The romance of pre-war commercial aviation meets the romance of a man separated by war from the woman he loves. White Water Landings by J M Pett with Geoffrey Pett, published 11th May 2015. The paperback (ISBN/EAN13 1508700389 / 9781508700388) is available on Amazon.com and other Amazon sites. List price is $14.95 or £9.99. The collector’s edition hardcover book (ISBN:9781320766913), with good quality paper and spot colour is now available to order from your favourite store using the ISBN shown, and is also on Amazon.com. The retail price is £30, $45 or thereabouts. A new paperback and budget b/w hardcover version is now available direct from Blurb.co.uk, priced £9.95 for the paperback (softcover) and £17.45 for the hardcover (imagewrap). You can preview it below (note the headings are not in colour in the printed version). 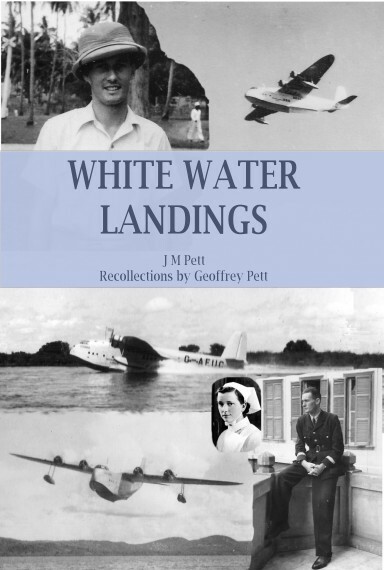 White Water Landings is authored by J M Pett, Geoffrey’s daughter.